Last week we ended our adventures along the Wild Coast at Bulungula, which is (to me) one of the most special places in the country & an absolute must-see if there ever was one. Capetonians and Joburgers shouldn’t be put off by the distance, it is a trek, but it is more than worthwhile. 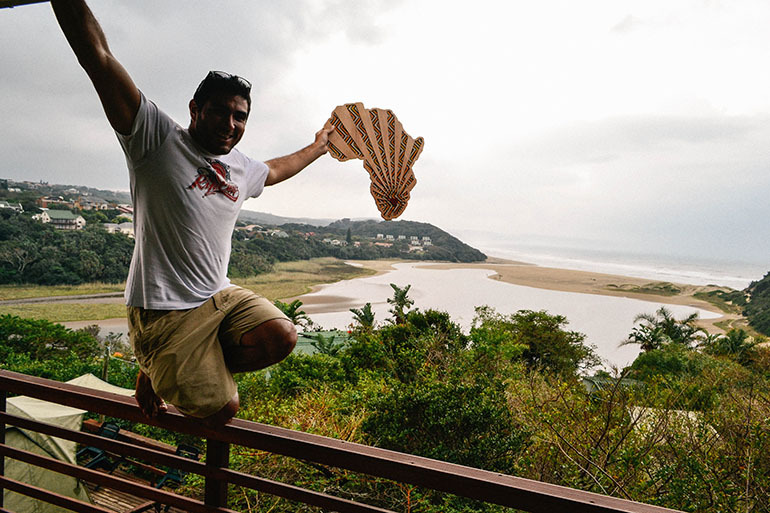 After leaving Bulungula we headed further South along the ever improving N2 to Chintsa West, and stayed at Buccaneers Backpackers for two wonderful nights overlooking the Chintsa River Mouth. However tempting it is to spend the rest of this article detailing the delightful activities we enjoyed there – incl. morning beach walks, fish eagle canoe rides and horse riding – we simply have to move on! Our excitement was unhinged as we left the coast and headed towards Hogsback. We had heard many tales from countless travellers about how ancient, mysterious and magical Hogsback is that we simply couldn’t wait to get there. Our return to tarred roads was extremely welcomed by us (and our tyres I suspect)! We followed the N2 south into King William’s Town and topped up our noble little Hyundai at the local BP Service Station which was filled with friendly staff. We exited King’s (as it’s affectionately known) on the R63 and made our way towards Alice before turning right onto the R345 and the last leg of 170km journey. It’s all exceptionally scenic out here; the hills are longer and gentler, and make the land appear flatter than at the coast. Vegetation includes acacias, aloe varieties, cacti and scrub. But that all changes as Hogsback comes into view. The road to Hogsback winds up into mountains (that seem to appear from nowhere), the top was covered in cloud and we couldn’t be sure how high we needed to ascend – the magic had already captivated us. As we rose with the road tall trees emerged from the earth and the scrub like vegetation was instantaneously transformed to a forest scene from the Lord of The Rings. Legend has it, in fact, that Tolkien, the author of the Hobbit and Lord of The Rings, used Hogsback as inspiration for the books. I’m not sure if it was due to the foreboding clouds, the dense greenery and the statues of the fairies or perhaps a combination of it all but there was definitely a very tangible sense of otherworldliness in the air. The days that followed only cemented our fascination and love of Hogsback – but more on that next time. The entire journey from Chintsa to Hogsback took around 2 hours and 30 minutes and though you could probably do this quicker, why would you? The roads are good and safe and there are a couple of towns in between for you to stop at should you need petrol or snacks for the road.